Hon. Phylis J. Speedlin (Former Justice) - Mediator & Arbitrator based in San Antonio, Texas. Please click your preferred available date to submit a request. Your Appointment Form will be sent to Phylis 's assistant, Karen Evans. Phylis J. Speedlin counsels clients in two primary areas: alternative dispute resolution - including arbitration, mediation and private judging - and appellate strategy. She delivers exceptional value by virtue of her experience as a judge, appellate advocate, and trial lawyer. An attorney for more than 32 years, Justice Speedlin served as a jurist for 13 years, ten years as a justice on the Texas Fourth Court of Appeals and three years as a Bexar County trial judge. 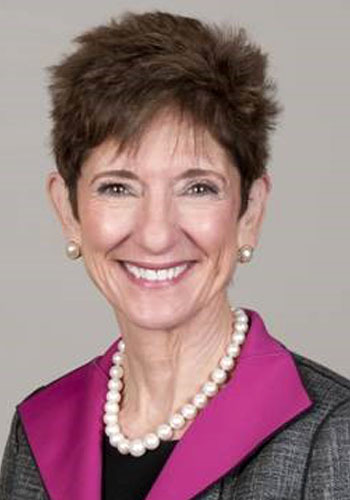 During her tenure on the Fourth Court, Justice Speedlin authored more than 1,300 opinions covering a wide variety of issues, including personal injury, property rights, insurance law, medical malpractice, family law, employment law, probate, oil and gas, construction law and criminal law. Mediates and arbitrates complex, multi-party litigation including personal injury, tort, product, health care, business, construction, employment, oil and gas lease and royalty disputes, probate, commercial, and family law. Has served on AAA Arbitration Panels for Healthcare and Consumer – Expedited, Regular, Large Complex Case -- and Appellate since 2012. Arbitrated business, health care, construction, and employment disputes. Conducted arbitrations as a single arbitrator and as a member of a panel including healthcare payer/provider, business, franchise, and construction disputes. Qualified under the Civil Practice and Remedies Code to try lawsuits as a Private Judge upon agreement of the parties and referral by the trial court. $1550 per day per party for mediation. $850 per party for half day mediation. $450.00 per hour for arbitration, and private judging.